Labour MP Ian Austin believes that 2015 is the time to achieve a breakthrough in government support for cycling. The co-chair of the All-Party Parliamentary Cycling Group was speaking at the ‘Love Cycling’ conference in Birmingham, where he explained the Group’s recent “Get Britain Cycling” report. The report outlined 18 recommendations to boost cycling from less than 2% of journeys in 2011 to 10% in 2025. It recommends that the government invests a larger share of the transport budget on measures to promote cycling, such as more segregated cycle lanes and improved junctions, teaching children to ride at school and supporting businesses who want to enable their staff to commute by bike. “The next election is the moment we can achieve a real breakthrough and get the changes we want to see to promote cycling in Britain,” Austin said. Could you be the next Para-cycling star? The Great Britain Para-cycling team has launched a talent identification drive to find new female Paralympic champions for the Rio 2016 and Tokyo 2020 Paralympic Games. British Cycling is looking for women across all para-cycling classifications – from those with a minor or major impairment to a limb, to those who are visually impaired or have spinal injuries. Amputees or women with cerebral palsy are also encouraged to get involved. Talent assessment events will take place in October. Women and girls who meet the criteria should email paracycling@britishcycling.org.uk with their name, phone number, and a brief description of their impairment. 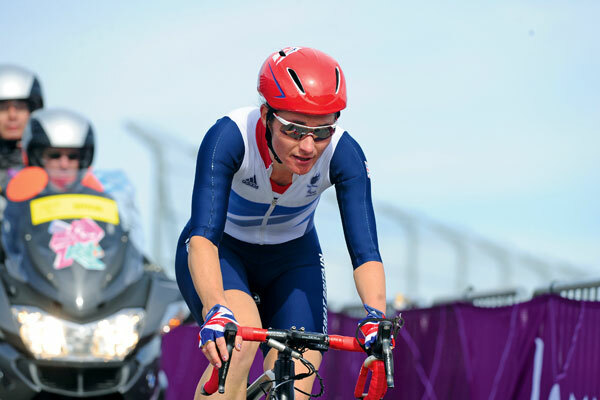 Could you be the next Sarah Storey? Mark Cavendish has joined British endurance nutrition company Science in Sport (SiS) as an Elite Sports Consultant. The Manx Missile, who has also invested in the SiS, will work with team to provide nutritional insight and hands on experience from his time in the peloton. Sky Ride was named winner of the ‘Cycling Advocacy Achievement’ award at Wednesday’s Bike Biz Awards in Birmingham. The scheme, backed by British Cycling and Sky, has succeeded in getting over one million people into riding bikes since its inception. “It’s fantastic that Sky Ride continues to be recognised for the great work it does to get people riding their bikes. This year alone we have delivered 17 Sky Ride city bike rides giving over 100,000 people the opportunity to enjoy accessible traffic-free cycling in a fun festival atmosphere,” said Stewart Kellett, British Cycling’s director of Recreation and Partnerships. 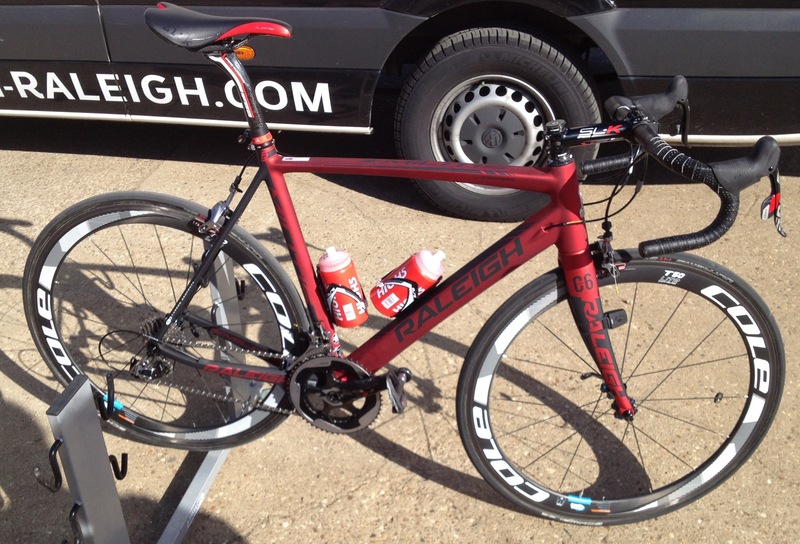 Raleigh will unveil their 2014 range of bikes at the Cycle Show at the NEC in Birmingham this week. Developed in collaboration with Team Raleigh, the new road range will feature over 25 models. Tom Scully demonstrated the performance of the the £5000 Militis Team (see below) bike featuring SRAM Red22 at last week’s Tour of Britain. Raleigh’s performance, endurance, cyclocross and lifestyle bikes will be on view at the Cycle Show until Sunday. We are sad to hear of the death of Peter Lickfold, whose involvement in cycling in the North West spanned 55 years. Peter raced for the Manchester Velo CRC before becoming the club secretary. He was elected to the British Cycling Executive Board, where he served as a member for two years. For 28 years, Peter organised the Junior Peaks Road Race and was a founding member of the Manchester Regional Track League, which still holds regular Friday night races. The Peter Lickfold Memorial Trophy will be presented for the first time in December to the winning rider of the Friday night meetings.